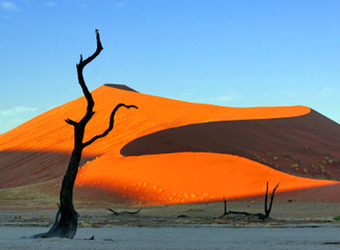 This epic Namibia adventure is a comprehensive safari through one of Africa’s most dramatic countries. 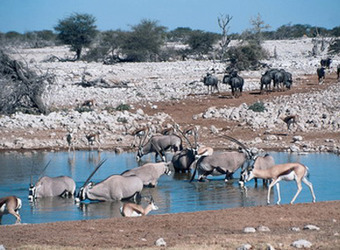 See all of Namibia’s riveting landscapes and top wildlife reserves on game drives and nature walks through Etosha National Park, Okonjima Reserve, Sossusvlei and Damaraland. 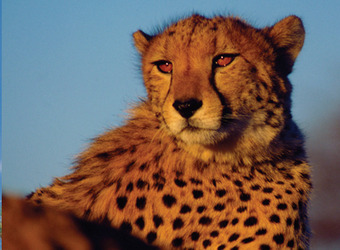 Explore the austere Hartmann Valley, one of the most remote places on earth, where ocean mists drift inland to moisten the stark desert, drawing surprising numbers of wildlife. 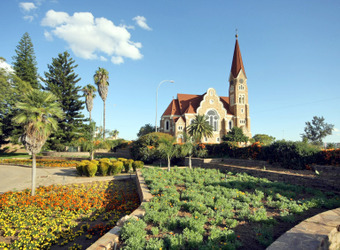 Namibia’s capital, Windhoek, provides an urbane contrast to the wilderness. 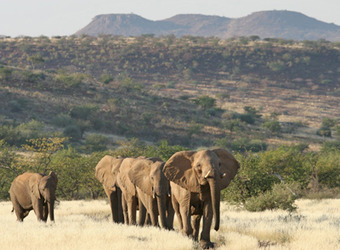 In a country of stunning diversity, this itinerary reveals all the best of Namibia: towering sand dunes, differing desert ecosystems, fantastic wildlife and absolutely stunning scenery. 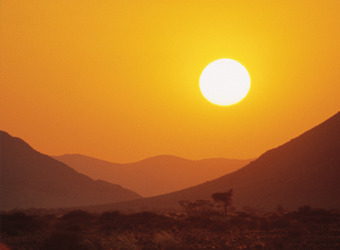 There is no place in Africa that offers a comparable set of varied landscapes and adventures. Stunningly remote, the Hartmann Valley is a desolate yet entrancing moonscape of sand and rock. 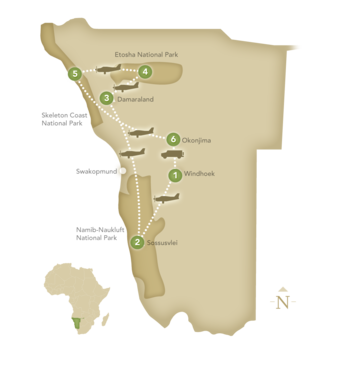 Located in the extreme northwest of Namibia, the region offers a profound sense of wilderness and unusual juxtaposition of habitats, as the Kunene River nurtures a band of lush vegetation amidst one of the driest deserts on earth, while sea mists creep in from the coast. 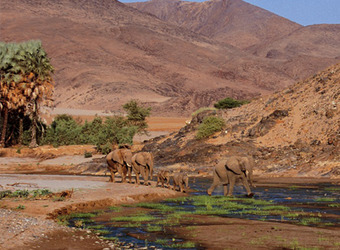 The valley is home to the Himba, one of the last true nomads in Africa.